This week celebrates National Dog Day in the US on the 26th August, a day devoted to the humble canines that bring us endless amounts of love and loyalty and the working dogs that act as lifelines for others. But what about their bearing on our health and fitness? Studies show that you’re more likely to keep up an exercise regime and stay motivated with a partner. But having a training partner that’s forever enthusiastic and willing to get up with you at the crack of dawn can be hard to find. Likewise, if it’s winter and you’re contending with low temperatures, snow and cold weather, that enthusiasm is likely to wane. Enter man’s best friend: the perfect partner that never complains, has boundless enthusiasm, mountains of excess energy to burn and who needs the exercise as much as you do. 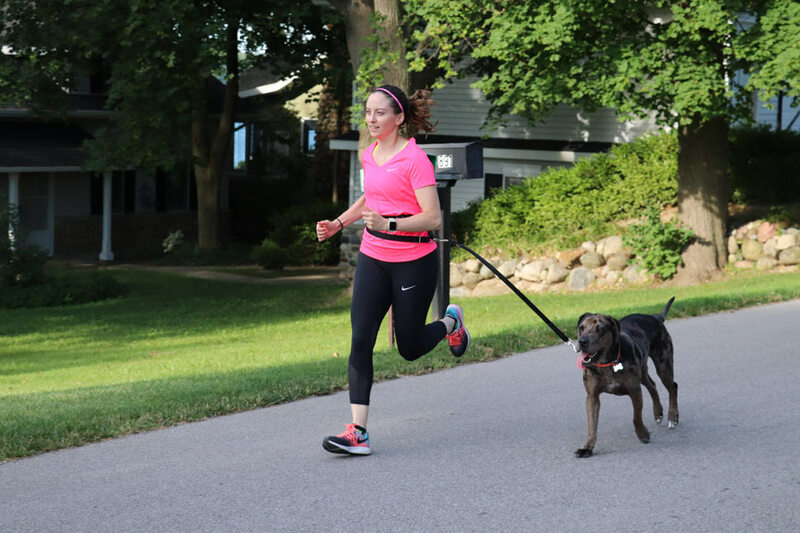 If pavement pounding isn’t your thing, running with your canine companion can make the whole experience seem less like a chore and more like an enjoyable activity. 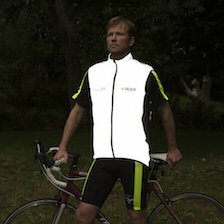 It can also be a comfort, particularly if you’re running in a secluded area at night. But, not all dogs are built for running; for example brachycephalic breeds with obstructed airways, like pugs, bulldogs and Shih Tzus are better off taking a long amble. So there are definitely some things to keep in mind if you decide it’s something you want to try. So, where do you start? 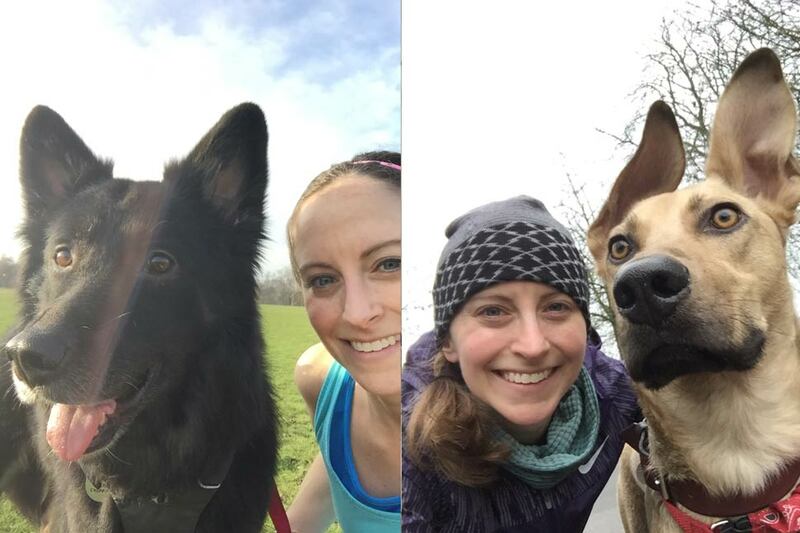 We talked to a couple of runners and their dogs for some advice. 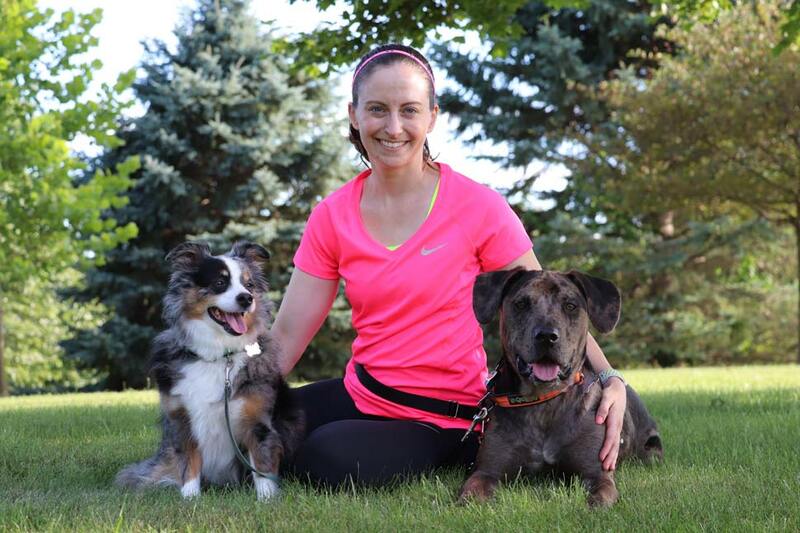 Allison has spent all her adult life running with her four-legged friends. So much so, that when she decided to run the London Marathon, while on a work assignment in London, she knew she couldn’t train alone. “I got Patch when he was about two-years old. He’s a miniature Australian Shepherd, but was too shy to herd the goats on his owner’s farm. He naturally ran next to my ankles from the start. His breed are called Velcro dogs because they just want to be where their owner is. He’s about 10 years old now, so I mainly run with Denver now, who we adopted in January 2016. We think he’s a Labrador Catahoula cross, another working dog. 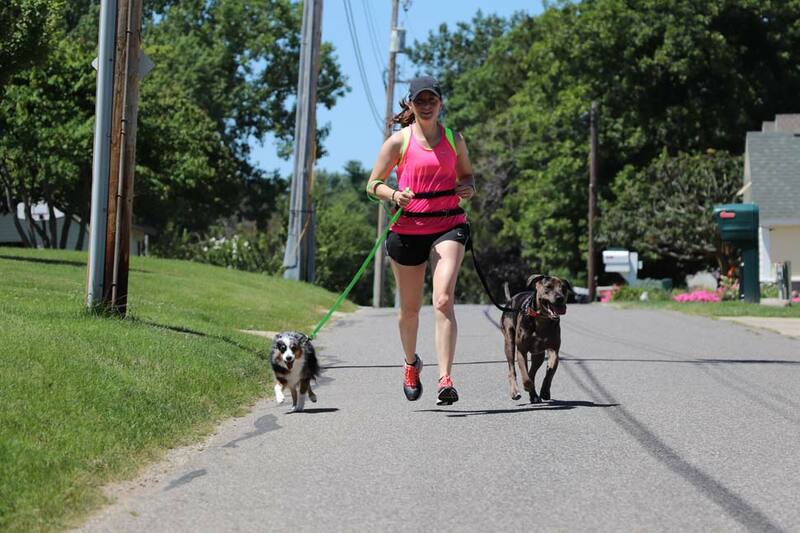 “I spent a lot of time teaching Denver how to run with me. The philosophy I bring to the dogs is that you make the right thing easy to do and the wrong thing hard. It’s the same in the horse world. A horse weighs 1,000 pounds so you can’t make it do anything. Denver loves chasing squirrels, so the wrong thing would be to run off and pull me over. To make it hard, I’m going to try and stand in between him and the squirrel; easy is getting praise and treats. We’ve spent several months practising and now he’s really only swayed if we’re passing a playful puppy. He has trouble passing up that opportunity. “When I came to London for work, I signed up for the London Marathon, but I didn’t understand how to run without a dog. A friend of mine told me about www.borrowmydoggy.com, which is how I met Gera and Rumi. I made it clear on my profile that I was looking for dogs who I could run with. 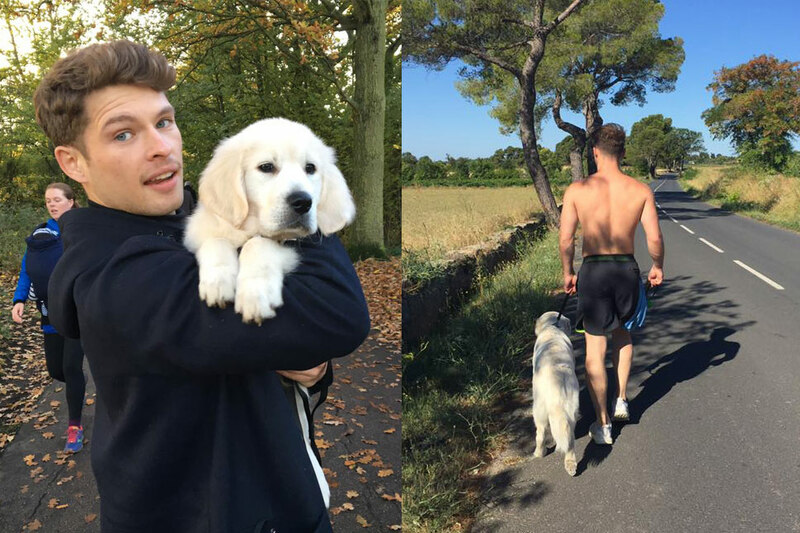 Build your distance – when Patch and I first started we’d run for a mile and the rest would be walking. Better yet, do a loop. You want to make everything as positive as possible for your dog, otherwise they won’t want to run with you. The main thing is not to take them on a three-mile run if they’ve never done it before. You need to build it up and condition them to run at your pace, not theirs. Listen to your dog – if you’re having fun they’re going to want to continue, so it’s up to you to pay attention. I’ll often turn to my dog and kind of ask ‘you okay kiddo?’ You can tell when your dog is super fatigued or if they just want to keep going. Be guided by them. Watch for excessive panting – I live in Houston so dehydration is an issue for my dogs. 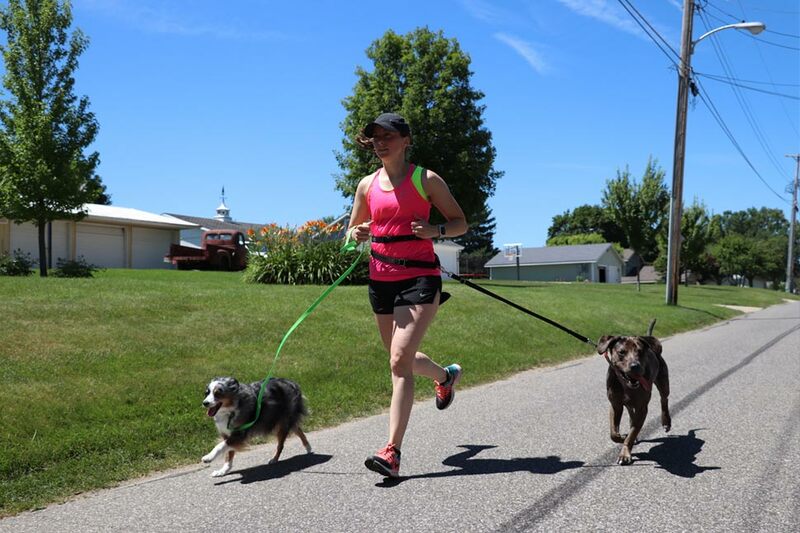 If you’re running in heat, watch for the panting and make sure that you know where the water bowls and shade are. Denver is really good and will drink from any bowl. Patch was more picky so I had to plan for that. Consider a harness – Denver is a really energetic dog, so I use a harness that hooks on at the front. This means it feels funny if he pulls forward, without hurting him. If your dog is not good at ‘heeling’ and you clip it to the back, you’re just giving them more leverage to pull you along. Be prepared – I have a belt that I can carry my phone in, for tracking and for safety. I feel safe running with Denver, but it’s good to be prepared. And don’t forget the poop bag, because you want to be a good citizen. If you’ve got a puppy or a young dog, you can’t just dive straight in. Before you start, it’s a good idea to consult your vet, though generally you’ll be advised to wait until they reach six months old. Larger breeds may need a little longer. This is certainly true for Bismarck. Named after the German chancellor, Bismarck was the largest out of a litter of 16 golden retrievers, eight of which were raised by a Hungarian Vizsla mother whose puppies didn’t make it. Now that Bismarck is nearly a year old, owner Elliot discusses what it’s like starting out. 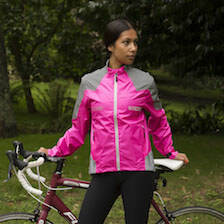 Stick to a route you know well as there will be less risk of bumping into objects or getting lost. 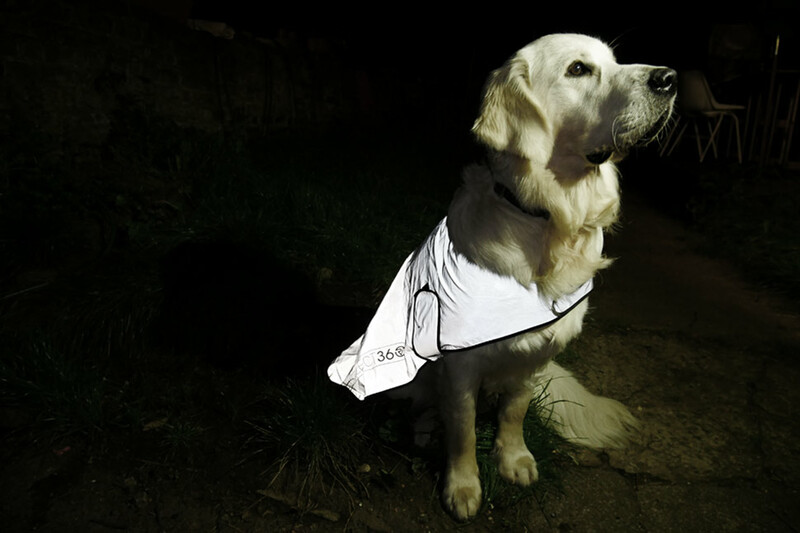 Make sure you and your pooch are as visible as you can be; get some reflective gear for you and your pup. 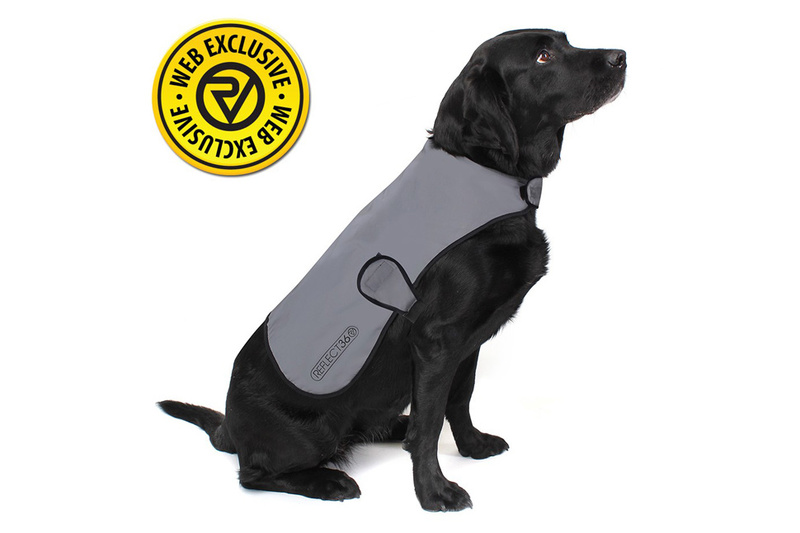 You can even attach illuminated strips to his/her lead. Keep alert around cars and at crossroads if you’re running in an urban area. If there’s no pavement, always run against traffic. 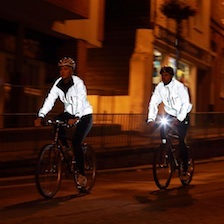 In the countryside, take a torch or headlamp with you. 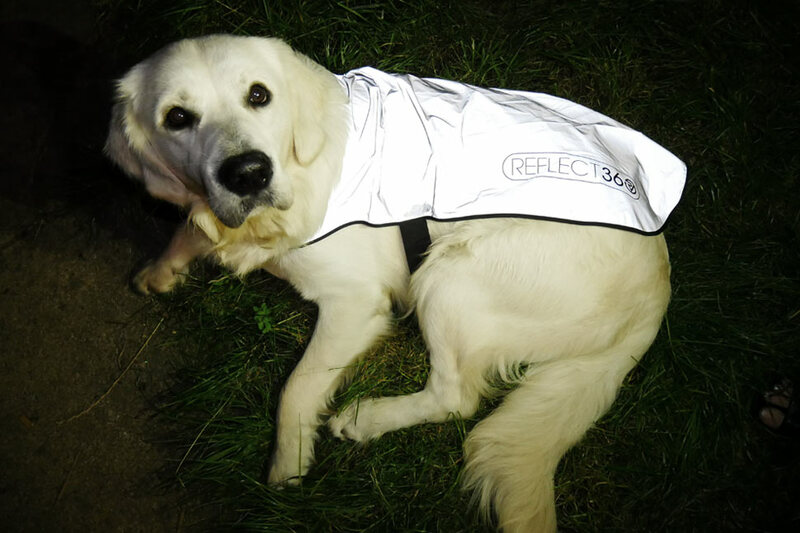 You can get your very own web exclusive REFLECT360 dog jacket in sizes to accommodate a chihuahua, a St Bernard and everything in between. Earlier this year we ran a competition via our Facebook page. 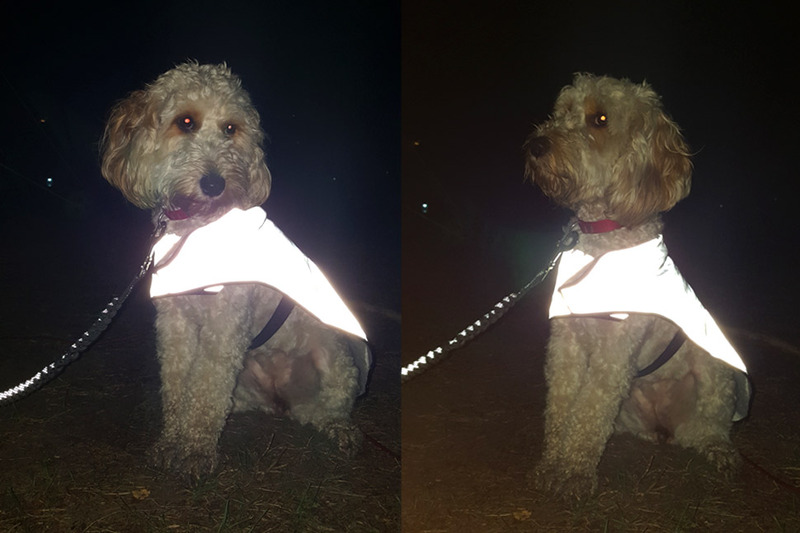 Entrants had to post a picture of their dog in the comments section, 4 winners were selected and they received one of our dog jackets. 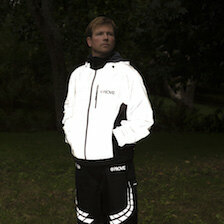 If you have a photo of your pooch out with you on a run, or reflected to the nines in Proviz gear, we would love to see!